PERMIT REVIEW FEESSCHEDULE IV(Effective January 20, 2010)Category Sub Category Activity FeeFILL 1. Grading/Cut &Fill:Placement or removal of fill in excess of 25 cubicmetres$1,335CONSTRUCTIONWORKS2. 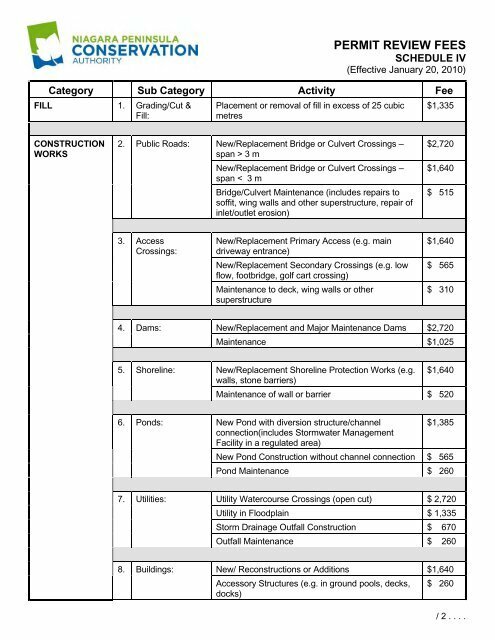 Public Roads: New/Replacement Bridge or Culvert Crossings –span > 3 mNew/Replacement Bridge or Culvert Crossings –span < 3 mBridge/Culvert Maintenance (includes repairs tosoffit, wing walls and other superstructure, repair ofinlet/outlet erosion)$2,720$1,640$ 5153.  AccessCrossings:New/Replacement Primary Access (e.g. maindriveway entrance)New/Replacement Secondary Crossings (e.g. lowflow, footbridge, golf cart crossing)Maintenance to deck, wing walls or othersuperstructure$1,640$ 565$ 3104. Dams: New/Replacement and Major Maintenance Dams $2,720Maintenance $1,0255. Shoreline: New/Replacement Shoreline Protection Works (e.g. $1,640walls, stone barriers)Maintenance of wall or barrier $ 5206. Ponds: New Pond with diversion structure/channel$1,385connection(includes Stormwater ManagementFacility in a regulated area)New Pond Construction without channel connection $ 565Pond Maintenance $ 2607. Utilities: Utility Watercourse Crossings (open cut) $ 2,720Utility in Floodplain $ 1,335Storm Drainage Outfall Construction $ 670Outfall Maintenance $ 2608. Buildings: New/ Reconstructions or Additions $1,640Accessory Structures (e.g. in ground pools, decks, $ 260docks)/ 2 . . . .